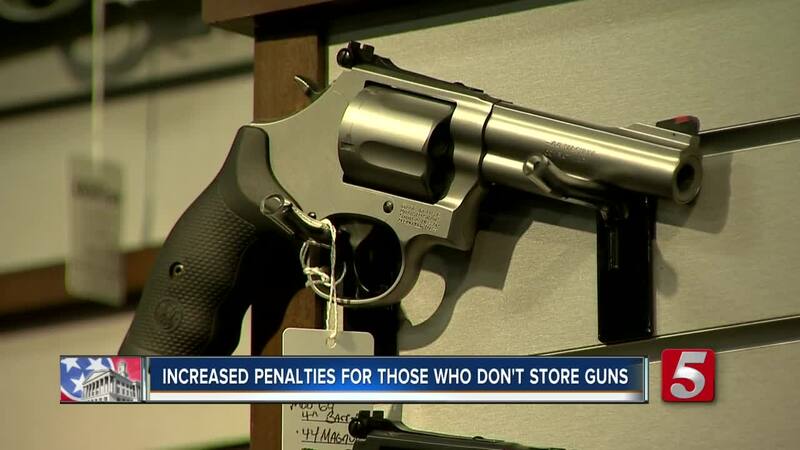 NASHVILLE, Tenn. (WTVF) — A law to penalize gun owners who leave their guns out where kids can grab them and injure themselves and others was submitted to the state legislature. Makayla's law was named after Makayla Dyer, an 8-year-old girl who was shot and killed by an 11-year-old in 2015. The 11-year-old had access to his father's gun and shot Makayla after she wouldn't let him play with her new puppy. According to the bill's sponsor, state senator Sara Kyle, that death was preventable if gun owners were penalized for not locking up their guns. "Say if someone has left their gun out, say on a table, they walk in or they put their gun on top of a refrigerator, in a nightstand, under a pillow, children know where that gun is and they can access that gun. And a lot of times it's out of curiosity, with no intention to hurt another person, but it's reckless endangerment," said Senator Kyle. "I just want people to be educated and aware that we're losing too many people in our communities. Too many family members over a gun that's being left out and accessible to children," said Senator Kyle.